Ubisoft’s critically-acclaimed pirate adventure Assassin’s Creed IV: Black Flag expands later this month with the release of Freedom Cry, a single-player DLC pack which focuses on first mate Adewale 15 years after the end of Edward Kenway’s adventure. Freedom Cry also hides hints to where in the world the next Assassin’s Creed will be set, director Wesley Pincombe told Eurogamer. 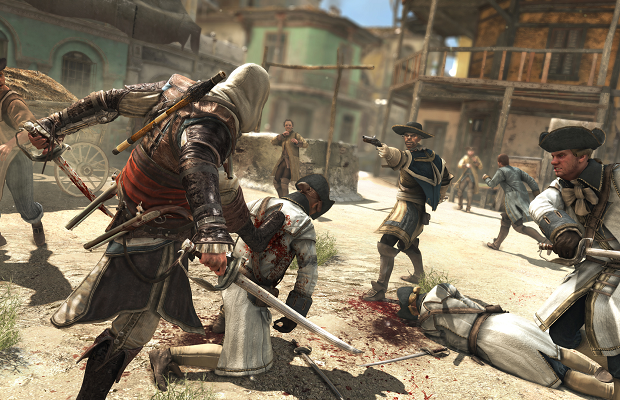 The next game, still officially unannounced, is being developed by Ubisoft Montreal and Ubisoft Toronto. Speculation about where each new Assassin’s Creed game will be set has become something of a passtime for fans of the franchise. Black Flag itself contains hints that the series may move to Hong Kong or Egypt in the future, and Ubisoft recently sent out a survey asking fans where they want to see Assassin’s Creed move in the future. What do you think, Assassin’s Creed fans? Where do you want to see the franchise move next? Let us know in the comments.